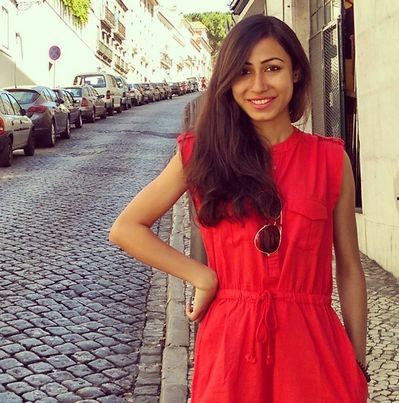 Balancing her love of travel with a full time job, Samita shares what inspired her to travel and start her website samwanderlust.com and Instagram, @sam_wanderlust. Read her Guide to Iceland. 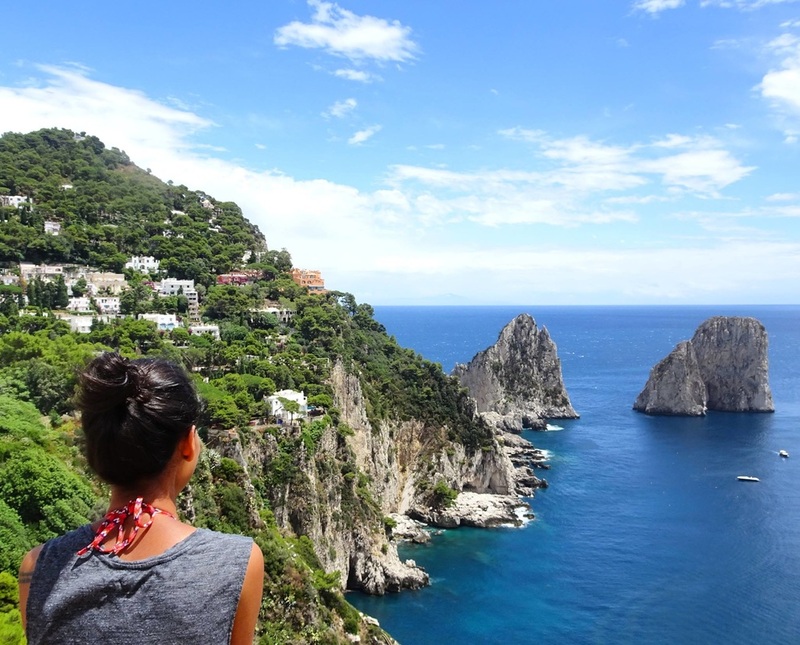 I travel because I have a huge FOMO (fear of missing out) syndrome! I always keep dreaming about places I have not been to and things I have not done, so I don’t want to miss out on experiencing anything. Be it the northern lights in freezing winter of Iceland, the first snow fall in Austria, the fall colors in Croatia, the sunrise from Petra, I want to be there and experience it for myself. Also, since I mostly travel solo, I feel that it is most liberating experience for me, and it is addictive. I have done things which I never imagined I could do all by myself, met people I would have never met if I wasn’t stranded in that village with no public transport. So travel helps me discover myself and shapes me as a better individual, through experiences which I couldn’t have had otherwise. 2. 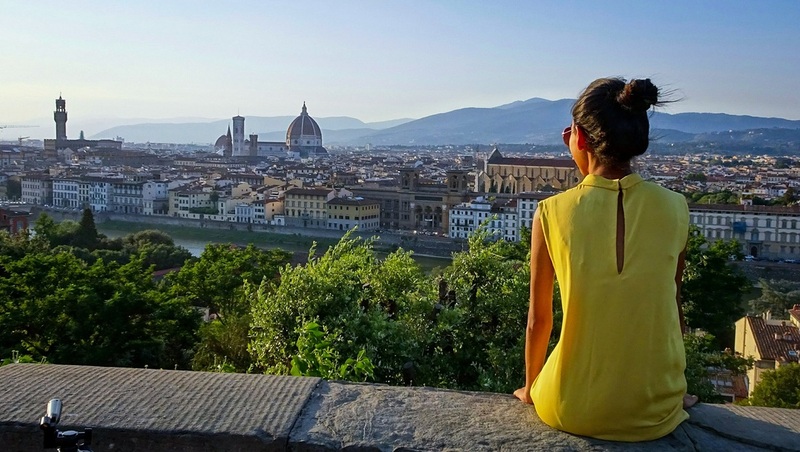 What do you think of when you think of a woman traveler? Being a solo female traveller, I think women travellers signify equality more than anything else. Coming from India, I still get asked on how I can travel alone; isn’t is dangerous? Isn’t it lonely? And I love to prove that wrong! The more women travel, I think the more the cities and countries become open to the idea of it and work to ensure that it is safe and encouraging for women to travel alone. And that is a huge change. It’s not just men who can backpack and hitchhike alone, women can do that too, and they are no different. The world needs to see us as travellers, and not attach a gender to it. And the change is happening, slowly but gradually. 3. What was your favorite travel experience? Since I have a full-time job to balance with my travel FOMO, I usually have to choose between spending time with family over a holiday and traveling to a new place. So, last year when I visited my home country, India, I convinced by entire family to travel with me, and we did a 2 weeks road trip around India. As a child, my dad used to take us on endless road trips (guess that’s where I get my travel bug from), but it was an amazing experience to re-live those moments again after so many years. I celebrated New Year’s Eve and my 30th birthday with my family, and I think that has to be my most favorite travel experience. We are always so busy chasing our dreams, that we forget about the people who gave us the wings, so I was glad that I could plan this trip with them and they had as much fun as me! 4. Which place(s) do you want to go next, why? The list is endless, of course. But I have been dreaming about going on a safari in Africa, so I will be going on three safaris during my next trip, which is to Kenya! Besides that, experiencing the cherry blossoms in Japan and doing the Inca Trail in Peru are on top of my list for next year. 5. When did you start traveling? Like I said, I have been traveling with my parents since I was little. We used to go on regular trips around India during every school holiday, and that always continued even when I moved out of my home. But I think my craze to travel on my own started when I moved to UK, and I did not know many people around to travel with. And I always felt like a clock is ticking somewhere and I can’t wait for someone to make a trip and hence I started traveling solo. And for the last 3 years, I have been trying to optimize my weekends and vacation days to cover as many places possible! 6. Who do you prefer traveling with? Since I started traveling solo, I got addicted to it right away! Traveling solo is meditation to me. After 5 days of corporate job, a solo trip and my own company is the best I can ask for. I love the flexibility of solo traveling and I absorb my surroundings better, because I don’t have any distractions. And solo traveling always helps me meet new people more easily too. 7. Why do you enjoy photographing/writing about travel? I always love taking pictures. I have to click the postcard shots wherever I go! So, I started my Instagram account as my own travel postcard collection. But then, I got to interact with so many fellow travellers who liked the idea of weekend travels and wanted to know more about how I do it, and the itineraries that I make. So, that’s when I decided to start my own website to share my weekend, long weekend itineraries mainly intended for people who don’t have the luxury of time, but want to travel and do it all in a limited time. I wish I can spare more time from my work and write more, but, since I love my job, I can’t really complain. 8. What is your favorite souvenir? I think my postcard pictures are my favorite souvenirs! I print a lot of my pictures and frame them in my apartment. A lot of my friends have also liked to have my pictures as gifts. 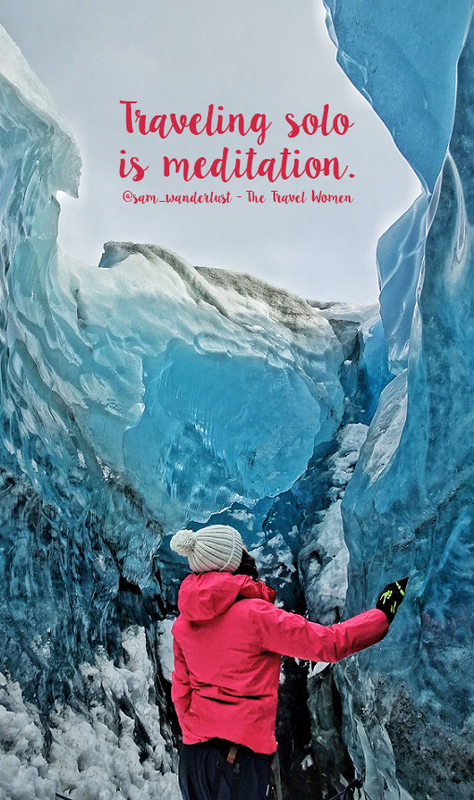 Follow Samita on her website samwanderlust.com and Instagram @sam_wanderlust. Next: Read her Guide to Iceland. Excellent blog you’ve got here.. It’s difficult to find good quality writing like yours nowadays. I truly appreciate people like you! Take care! !I think a network for women travelers is such a great way to help them break free from societal norms and personal fears.